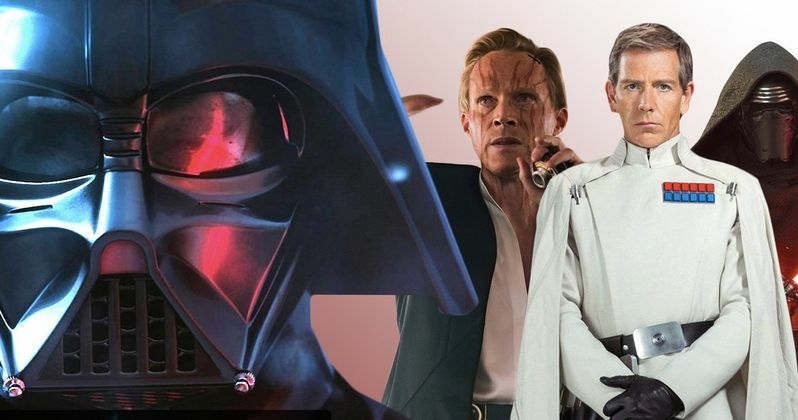 Is Star Wars 9 Really Bringing Back One of the Franchise's Biggest Villains? Listen up, everyone who wants to see Star Wars 9 as fresh as can be. There will be Spoilers in this story that could ruin certain aspects of the movie for you. So proceed with caution. Could Emperor Palpatine be making a return to a galaxy far, far away? According to a new, unsubstantiated rumor from an unidentified leaker, the iconic villain will indeed be making his return in Star Wars 9. Whether or not this rumor actually has any truth to it won't be revealed for some time, as Lucasfilm is keeping a tight lid on plot details. If it does prove to be true, this is going to be very important to the upcoming entry in the franchise. Beyond the possible Palpatine appearance, this leak contains possible plot spoilers for Star Wars 9. You've been warned. There have been rumors that arguably the most powerful villain in the history of the Star Wars universe will reappear on the big screen for some time, with many convinced he would show up in The Last Jedi. According to this alleged leak, J.J. Abrams will bring Kylo Ren face-to-face with Darth Vader's former master. According to this anonymous source, here's how the scene will unfold. "Emperor Palpatine will play a role in Episode 9. Specifically, Kylo Ren with an ignited lightsaber, presumably his cross-guard lightsaber, cutting through a blast door on some jungle planet and entering what appears to be a vault. Eventually Kylo Ren is holding a square object that projects a lifelike project[ion] of Emperor Palpatine. Palpatine's hand is raised in front of Kylo Ren showing blueprints or plans that could be a new weapon." Again, acknowledging that this is just a rumor and needs to be regarded as such and nothing more for the time being, this could be absolutely nuts. Just the surface level element of having Ian McDiarmid back as Palpatine is huge. And it sounds like this item Kylo Ren is holding could be a Sith Holocron, which is something that has been explored in shows like Rebels but not yet brought to the big screen. There is also the element of Palpatine presenting Kylo with plans for a new super weapon. One of the biggest complaints against The Force Awakens was the use of Starkiller Base as yet another Death Star, essentially. And yet, here we would have yet another super weapon of sorts. Interestingly enough, there is already precedent for something like this taking place in the Star Wars canon. Last year's Star Wars: Battlefront II video game contained a canon story. At one point, Luke Skywalker, after the events of Return of the Jedi, makes his way to a jungle planet named Pillio. The Jedi hero eventually finds a similar-sounding vault left behind by Palpatine. In the vault, Luke finds a compass that helps lead him to Ahch-Toa and the first Jedi temple. Also of note, Palpatine also appears in Battlefront II as a hologram. Could the planet Pillio also be coming our way in Star Wars 9? It's not unthinkable. And it's already been confirmed that Mark Hamill will be back, most likely as a Force ghost, in the upcoming movie. J.J. Abrams is currently filming the final entry in the Skywalker saga, which is set to hit theaters on December 20, 2019. Will that day see the reappearance of Emperor Palpatine? Perhaps. This was first reported by Express.